We supply a comprehensive range of high quality, nutrionally balanced and palatable animal feeds to meet the needs of livestock farmers, estates and smallholders ensuring optimum performance and profitability. Please click on our specialist farm product pages for further details on our beef, sheep, pig, poultry & game & straight feed ranges. If you would like to speak to one of our team direct then please phone us on 01651 862336 or email us on sales@grayfeedservices.co.uk and we will be more than happy to assist you. We supply a comprehensive range of nutritionally balanced and palatable products to meet the requirements of your beef herd at all stages of their lifecycle from suckled calves through to finishing cattle. We supply a comprehensive range of nutritionally balanced and palatable products to meet the requirements of your flock at all stages of their lifecycle from pre-tupping through to lamb finishing. We supply an extensive range of nutritionally balanced and complete poultry feeds containing all the essential vitamins and minerals to ensure happy, healthy and well-nourished hens. We supply a range of nutritionally balanced and complete pig compounds suitable for breeding stock, growing and finishing. 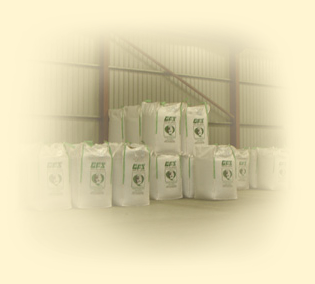 Gray Feed Services supplies a wide range of high quality straight feed materials available in 25kg bags and 1 tonne tote bags. A selection of free access powder minerals and in feed minerals are available in 25kg bags.